The Vilas County Board unanimously selected Potter Lawson and The Samuels Group to review the County’s space needs for the Public Health, Child Support, Commission on Aging, and Social Services departments. 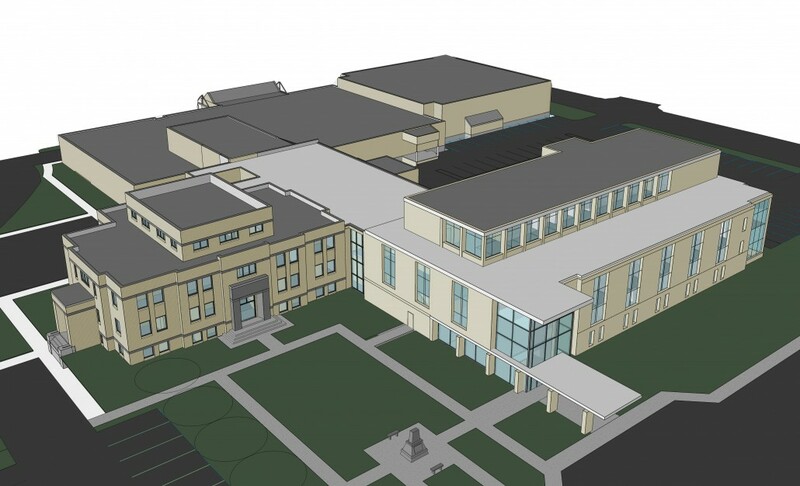 After an analysis of existing facilities and infrastructure, Potter Lawson was asked to develop a specific plan for replacing outdated and inadequate facilities. The County’s Social Services offices were located in a 1950’s building originally designed as a Sheriff’s Department. The facility impaired the County’s ability to provide adequate services. It was determined that moving to a new facility would allow for improved operational efficiency, community utilization, a higher level of security for the public, clients and staff, and a higher degree of privacy and confidentiality which these departments require. Improved energy efficiency and sustainable construction strategies were planned to minimize operational costs. Each of the departments were interviewed to determine their current and future space needs. Specific space requirements were allocated to each department in order to meet those needs. The study concluded with Potter Lawson designing an addition to the existing courthouse.